The “Brenner”-films are some of the best movies that Austria has produced within the last decades, and “Das ewige Leben” not only further establishes this rule, but might actually be the best of them (yet). My only two words of warning are: It’s extremly “Austrian”, thus I’m not sure how well it will translate to an international audience. And don’t expect a typical whodunit; at least when it comes to the story in the present, there’s never any question about who did what. However, that’s not really what “Das ewige Leben” is about anyway. * = Just kidding, guys. Said extra is my good and dear friend Maynard! 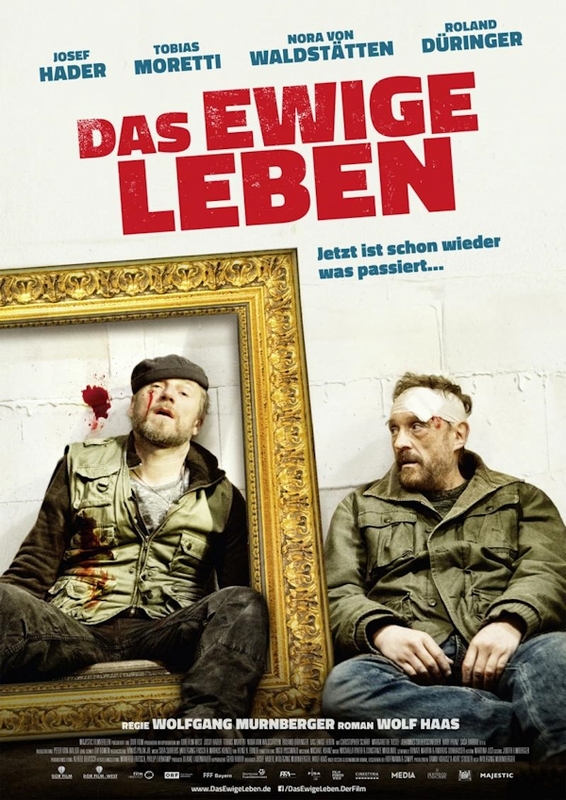 This entry was posted in cinema 2014, movie reviews, new releases and tagged austria, Christopher Schärf, comedy, crime, Das Ewige Leben, Johannes Silberschneider, Josef Hader, Krimi, Nora von Waldstätten, Roland Düringer, Simon Brenner, thriller, Tobias Moretti, Wolf Haas, Wolfgang Murnberger. Bookmark the permalink.